FINISH: As usual, Ed at Tsubasa was looking for something minimal; it's his skilled handiwork that really deserves all the attention. 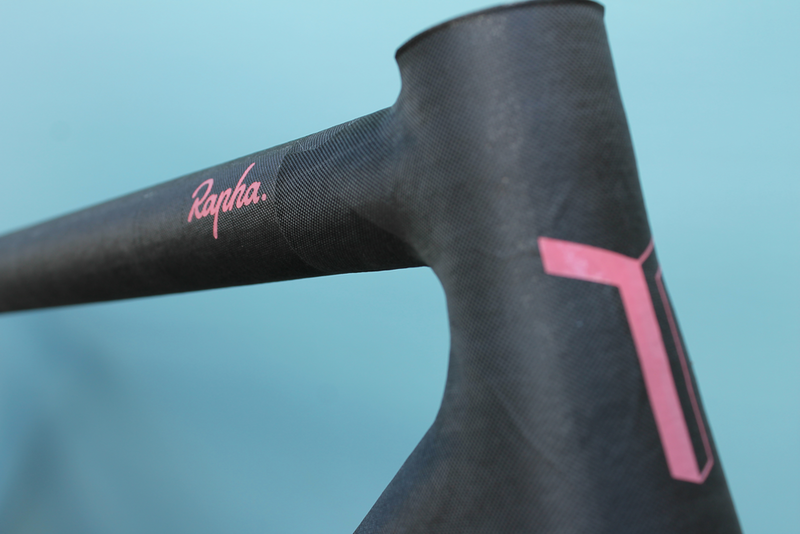 There's the usual; a headbadge and two downtube logos but this time we've added some Rapha branding on the top tube and a couple of flourishes at the seatstays. A new feature for a Tsubasa project is the gloss clearcoat we applied to the seatstays which serve to highlight the rotations of the hand-laid carbon wrap.